needing to procure a commercial low-energy building. The practice has specialist capabilities to design low-energy buildings. Nearly-Zero Energy (NZEB), PassivHaus buildings that are so well designed and built that they do not require a conventional heating or cooling system. The PassivHaus Architecture Company provides professional architecture services from Feasibility Analysis right through the design process, on site services to Post-Occupancy monitoring of completed buildings to ensure they are functioning as they should. The practice has specialist capabilities to design low-energy buildings, Nearly-Zero Energy (NZEB), PassivHaus buildings that are so well designed and built as to not require a conventional heating or cooling system. If you want to know more about the science and benefits behind low-energy commercial buildings? Look here. Companies wishing to take the environmental performance of their places of business seriously, who wish to procure a working environment that is comfortable, suitable for their specific activities and can demonstrate their own environmental credentials, need a design consultant who understands the issues, who has the expertise to source benign materials and to design the fabric of the building to positively effect the comfort, performance and enjoyment of staff and clients. The PassivHaus Architecture Company can deliver an integrated design and specification for fit-outs which optimise an existing or new building’s performance and does so with environmentally benign materials. For a schedule of services required for Fit-Out projects. 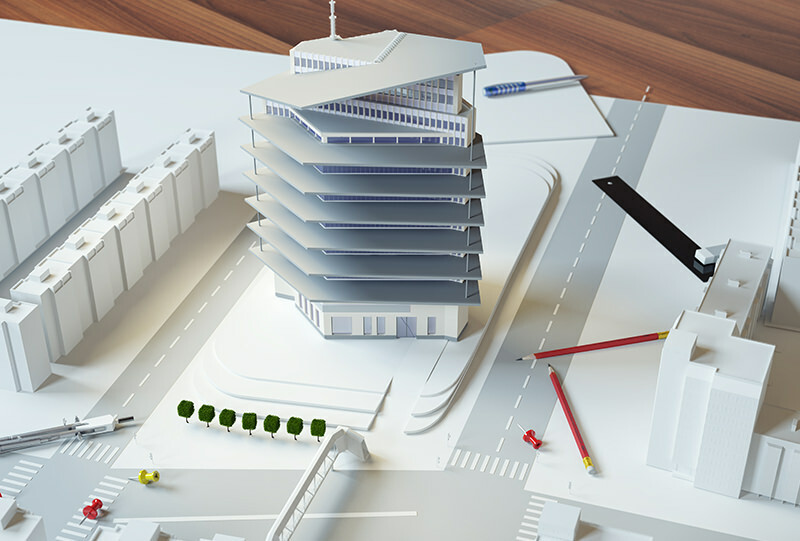 To create a low energy building, we must model its performance to ensure the design is optimised. This is done in-house using the bespoke PassivHaus Planning Package software. This software is used in both residential and commercial applications and we have been using this for over 10 years. Thermal Bridge modeling is a specialist service we supply. This is to allow low-energy buildings be designed accurately and optimise heat-retention, eliminate waste and ensure good detailing. We are registered Assigned Certifiers under the Building Control (Amendment) Act. This gives us the capacity to act on our client’s behalf to ensure the building’s certification needs are met. We can advise on the clients’s obligations in this regard. Also, our years of experience designing and inspecting the construction of low-energy buildings means you can be rest-assured that your building will easily meet or exceed the energy performance sections of the Building Regulations. All building projects require under the Health and Saftey Legislation that the client appoints a Project Supervisor Design Process. We are accredited by the RIAI to perform this function. Our function is to co-ordinate the design process so that the client and design team can best design a building that minimises the risk to all parties during its construction and maintenance.